Gerald Bennett plans to haul five horses to Delaware Park on Monday, with another 10 or so headed out on a van Thursday. By the time he's finished, the veteran trainer should have between 30-35 horses ready for action for the May 30 opening. “It's what you strive to do. That's why they keep records, and when you win the title it helps you set new goals and gives other people something to shoot for,” Bennett said. Bennett, who won Saturday's Florida Thoroughbred Breeders' and Owners' Association Ivanavinalot Florida Sire Stakes with long-shot Prospective Lady, was honored between races today with a trophy as the Oldsmar oval's Leading Trainer. The top horse by number of victories was 4-year-old filly Jermyn Street, who won five times (from six starts) for owners Vince Campanella and Nation's Racing Stable and trainer Keith Nations. Bennett, whose wife Mary is an indispensable part of his operation, has 3,723 career victories since starting his training career in 1974, good for 15th on the all-time list. He won the Grade I Philip Iselin Handicap in 1990 with Beau Genius and has trained such other top horses as Secret Romeo, R Angel Katelyn, Fast Flying Rumor and Bucky's Prayer. Although he doesn't punch a clock, his routine rarely varies, as he arrives at the barn by 5 a.m. each morning and checks each horse to see how they're eating and feeling. “It's seven days a week, from whatever time to whatever time. A horse might get sick and you're all night attending it,” he said. One of those friends is trainer Kathleen O'Connell, a two-time Oldsmar training champion who traded the top spot with Bennett throughout much of the meeting before stalling at 48 victories. A gentleman of the first order, Bennett nonetheless took advantage of his numbers by dropping several horses in class late in the meeting – several thus getting claimed – to get the wins he needed to secure the title. “If you want to be on top, that's what you have to do. You have to place your horses well,” he said. Gallardo's breakneck pace – he rode Saturday at Monmouth before returning for today's action – helped him finish second in North America in victories in both 2015 (320) and 2016 (332). He has also won three riding titles at Presque Isle Downs and has won five races on a single card here four times, most recently on Feb. 2. He's evolving into something of an “elder statesman” in the Tampa Bay Downs jockeys room, and is happy to help younger riders who seek his advice. And as Averill points out, spreading the risk among partners allows him to be more aggressive in pursuing quality horses such as R Lady Joy; Pay Any Price, a 7-year-old gelding who won this year's Turf Dash Stakes at Tampa Bay Downs; and now-4-year-old filly R Angel Katelyn, a winner of three stakes at last year's meeting. The benefits of Averill's approach were on vivid display after the Turf Dash. About four dozen friends, family members and co-workers crowded the winner's circle to have their picture taken Pay Any Price, who is owned by Averill and Paul and Duke Matties' Matties Racing Stable. Averill is also a student of the game and pedigrees and enjoys pitting his observations and opinions against other lovers of the sport, both in conversation and at the wagering windows. Other top horses he has campaigned include Paradise Dancer, R Free Roll and Rgirldoesn'tbluff. Jose A. Bracho is a tall (for a jockey), gangly youngster who bears a faint resemblance to schoolteacher Ichabod Crane in Washington Irving's tale The Legend of Sleepy Hollow. You wouldn't think Bracho was an athlete, until he climbs atop a horse and folds his lanky frame into positions that make his mounts respond. With 17 victories as an apprentice, Bracho was the only candidate for the track's Leading Apprentice title. 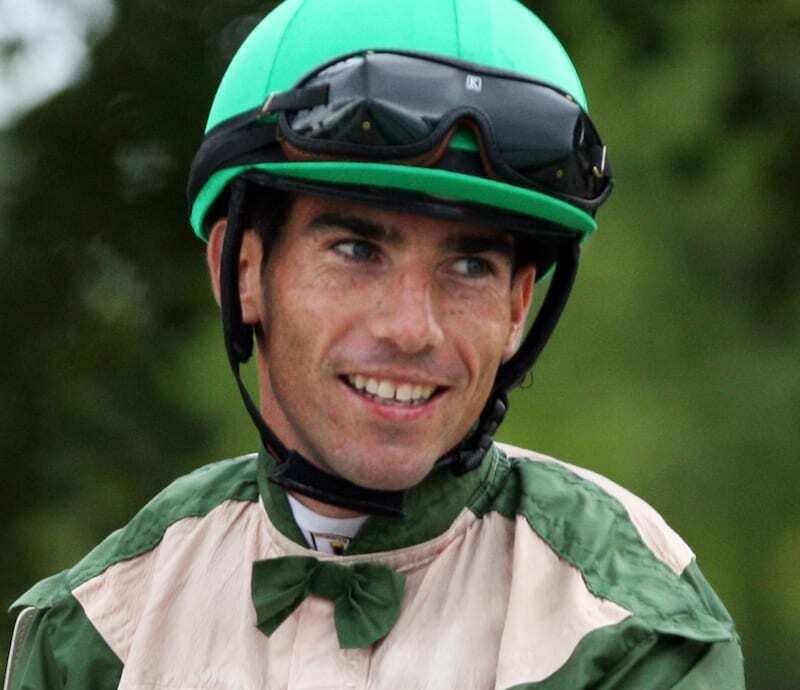 He has since added 14 victories (two today, more information below), raising expectations as he prepares to compete this spring and summer at Presque Isle Downs in Erie, Pa.
“I want to keep the same work ethic and keep hustling,” said the 20-year-old from Venezuela, who earned his first career stakes victory Saturday on 3-year-old filly Prospective Lady in the Florida Thoroughbred Breeders' and Owners' Association Ivanavinalot Florida Sire Stakes. “My goal is to keep improving every day and have trainers see I give 100 percent on their horses. I'm excited to be going there, and hopefully I will do as well as I've done here or better,” he said. Bracho, whose father Agustin Bracho and uncles Jesus A. Bracho and Jorge Bracho are jockeys (he also has a brother who is a trainer), has a built-in support system that has smoothed his path. He remembers wearing his father's helmet and boots when he was 4 on the drive to the racetrack in Venezuela and has figured he would become a jockey ever since. After losing his 5-pound apprentice allowance in March, Bracho was unsure how he would fare without the “bug” and whether trainers would look elsewhere for riders. He needn't have worried. He won his first race as a journeyman on March 23 on 4-year-old gelding Cavallo d'Oro for trainer Elliot Sullivan. It's obvious those veterans see his “want-to” beneath the unassuming exterior. This entry was posted in People and tagged antonio gallardo, Gerald Bennett, jose bracho, leading rider, leading trainer, oldsmar, rich averill, tampa, tampa bay, tampa bay downs by Press Release. Bookmark the permalink.